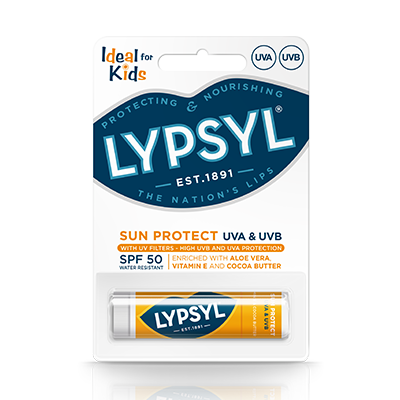 Sun protect with Vanilla. 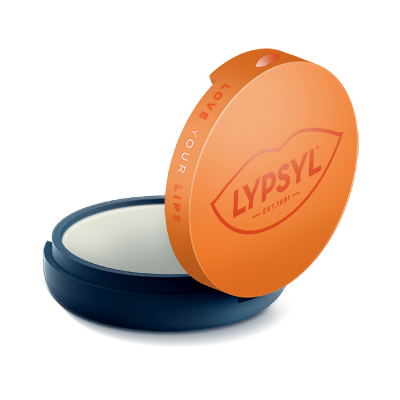 The ideal protection for sun kissed lips. 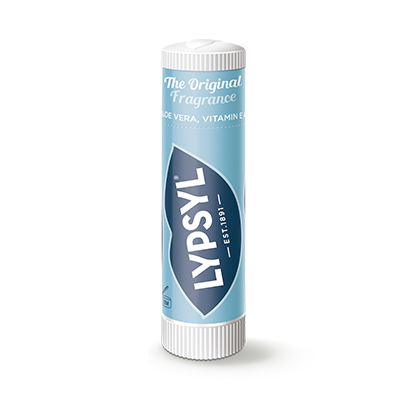 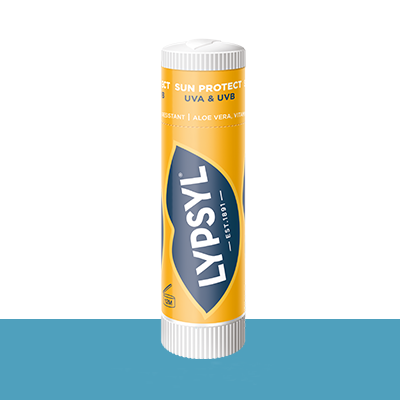 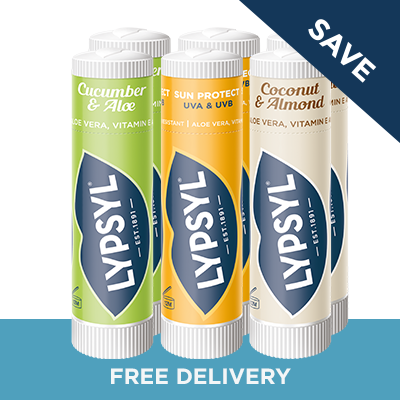 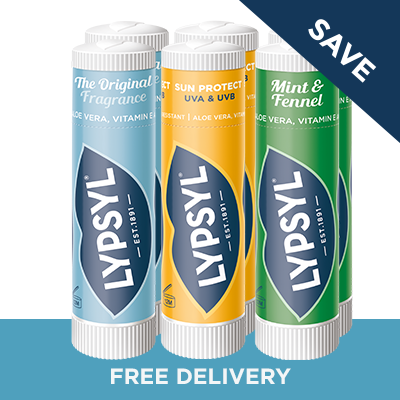 Lypsyl Sun Protect boosts your lips’ defence against the harmful effects of UVA and UVB rays. 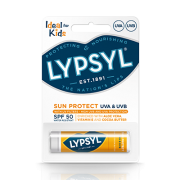 It has the nourishing ingredients of classic Lypsyl to protect and help repair chapped lips, with added SPF 50 so it’s ideal for the beach or winter sports. 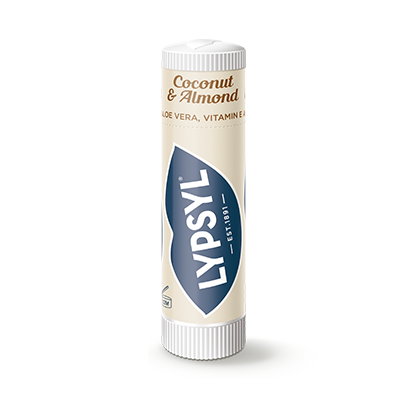 Cera Microcristallina, Cera Alba (Beeswax), Homosalate, Octocrylene, Theobroma Cacao Seed Butter (Cocoa Butter), Titanium Dioxide(nano), Octyldodecanol, Caprylic/Capric Triglyceride, Glycerin, Butyl Methoxydibenzoylmethane, Ethylhexyl Salicylate, Bis-Ethylhexyloxyphenol Methoxyphenyl Triazine, Ricinus Communis Seed Oil, Cetearyl Alcohol, Butyrospermum Parkii Butter (Shea Butter), Cetyl Esters, Polyglyceryl-3 Diisostearate, Alumina, Aqua, Stearic Acid, Parfum, Tocopheryl Acetate (Vitamin E), Aloe Barbadensis Leaf Extract (Aloe Vera), BHT, Benzyl Benzoate, Hydroxycitronellal.